Clarion Pointe leverages the Clarion brand promise of creating environments for people to connect and socialize. ROCKVILLE, MD—Choice Hotels International Inc. has unveiled Clarion Pointe, a midscale select-service brand extension of Clarion that brings together the premium elements guests desire and an affordable travel experience. It also meets hotel owners’ strong demand for a new select-service opportunity that is a differentiator in the popular midscale segment, according to the company. Contemporary design touches, including signature murals in guestrooms and the lobby that reflect local points of interest. Curated food and beverage, like free premium coffee and tea from The Coffee Bean & Tea Leaf, as well as free breakfast with fresh and nutritious items. 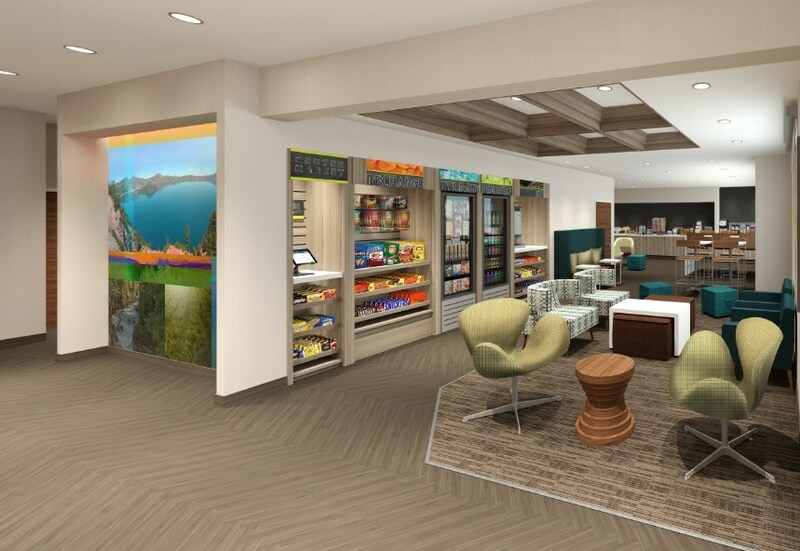 Craft beer and select wines, juices and smoothies, and small bites are available for purchase in the hotel’s marketplace. On-demand connectivity that lets guests stream content from their mobile devices onto 49-in. TVs with casting capabilities and free streaming-strength WiFi. Modern fitness space featuring cardio equipment, a strength-training station, plus casting-capable TVs that enable guests to stream workouts on demand. Choice Hotels already has more than 50 Clarion Pointe franchise agreements in the development pipeline, including the following locations: Medford, OR; Gatlinburg, TN; and Florence, MS, which will be the first hotel to open later this year. Clarion Pointe joins Choice Hotels’ midscale and upper-midscale brand portfolio, which includes Comfort, Sleep Inn, Quality Inn, MainStay Suites, and Clarion. There are nearly 300 Clarion hotels open around the world, specifically equipped to support corporate and social gatherings with meeting space and full-service bars and restaurants.